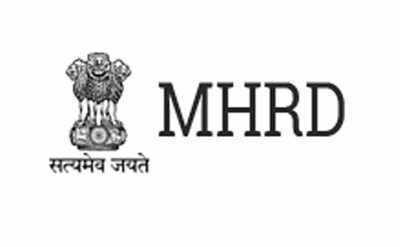 NEW DELHI: The Ministry of Human Resource Development (MHRD) has invited application from eligible Indian Nationals for the “2019 Korean Government Scholarship Program (KGSP) for International Students enrolled in Graduate Program”. The scholarship will be awarded for Master’s, Doctoral, and Research Programme. The number of nominations available is 15 out of which 10 will be awarded scholarship by the Government of Republic of Korea. For Master’s programme scholarship, the candidate must hold a Bachelor’s degree or equivalent degree relevant to the proposed study by August 31, 2019. For Doctoral programme scholarship, the candidate must hold a Master’s degree or equivalent degree relevant to the proposed study by August 31, 2019. (i) Postdoctoral Research Program: Applicants must hold a Doctoral degree or an equivalent degree by August 31, 2019. (ii) Professor Exchange Program: Applicants must hold a Master’s degree or a degree equivalent to or higher than a Master’s degree by August 31, 2019. (iii) Program for Education, Science, Culture, (International Professionals): Applicants must hold a Master’s degree or a degree equivalent to or higher than a Master’s degree by August 31, 2019. Candidates applying for Master’s/Doctoral Programme must be under 40 years of age as of September 1, 2019, that is they must be born after September 1, 1979. Candidates who are working as a professor must be under 45 years of age as of September 1, 2019, that is they must be born after September 1, 1974. Candidates willing to apply for this scholarship can find more details and apply through Sakshat portal (http://proposal.sakshat.ac.in/scholarship/). Last date to apply is March 20, 2019.